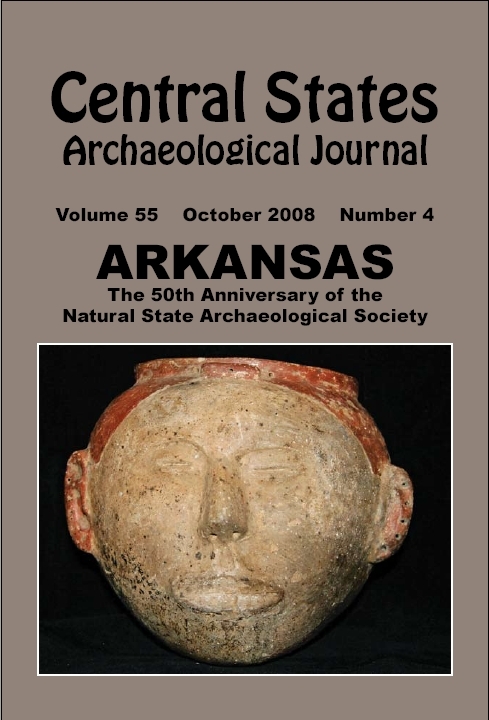 Head pots are some of the most interesting vessels created by Mississippian peoples. There has	been much debate over what and whom the portraits represent. There are some who believe	they are death portraits of warrior chiefs. Others think these pots represent a severed trophy	head. The current thinking is that the vessels represent idealized images of individuals involved	in some sort of ritual personification of mythical beings. Most have eyes that are “blind” and	a mouth that appears to be drawn open as in death, with the lips pulled back and the teeth	showing. Some have elaborate tattoos. The vessel pictured is considered to be of the “Pecan	Point” style. This style most closely resembles a real human head in form rather than having a	vessel shape. The pot pictured was found at the Big Eddy Site in St. Francis County, Arkansas	(3SF9) by Don “Possum” Hicks of Tull, Arkansas in the Spring of 1981.